Call for Submissions: Special Issue of NCS on "Patchwork, Cut-and-Paste, Reassembly"
This special issue will focus on ideas of reuse and recombination. How were bits and scraps of materials, textual and otherwise, reassembled into new forms in the nineteenth century? To what ends? Essays might consider these issues in relation to images, fabrics, texts, and more. Possible topics could include scrapbooks, patchwork, quotation, citation, illustration, and any and all forms of recombination. Approaches from all disciplines, including literature, art history, history, music, and the history of science and the social sciences, are welcome, as are submissions that cross national boundaries and/or range across the nineteenth century. One particularly exciting feature of Nineteenth-Century Studies is thatthe journal encourages authors to enhance their contributions with pertinent artwork. Please submit manuscripts of 8,000-12,000 words, following NCS's submission guidelines to guest editor Casie LeGette at legette@uga.edu. Early expressions of interest and proposals of topics are also welcome. The deadline for submissions of full manuscripts is August 1, 2018, but review will begin May 1, 2018 and earlier submissions are encouraged. Now Available: 19th Century Studies, Vol. 27. 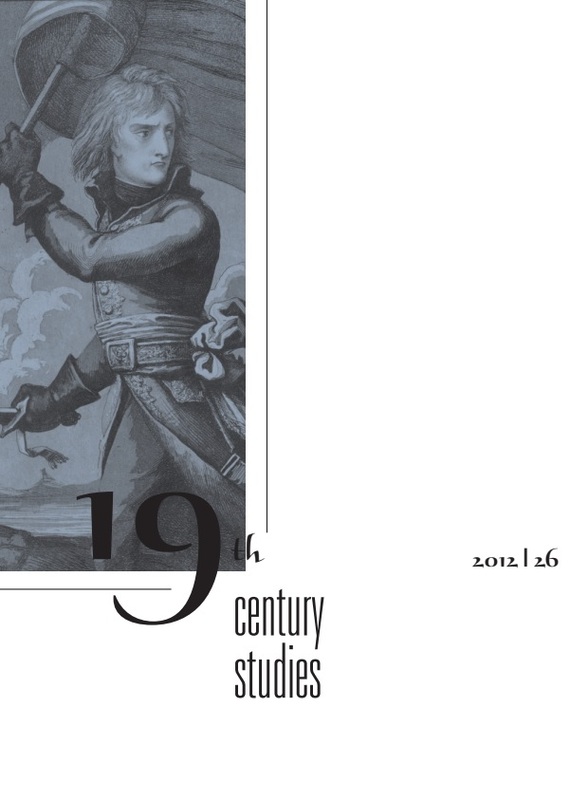 Now Available: 19th Century Studies, Vol. 26. NCS introduces new online reviews feature. See online reviews. 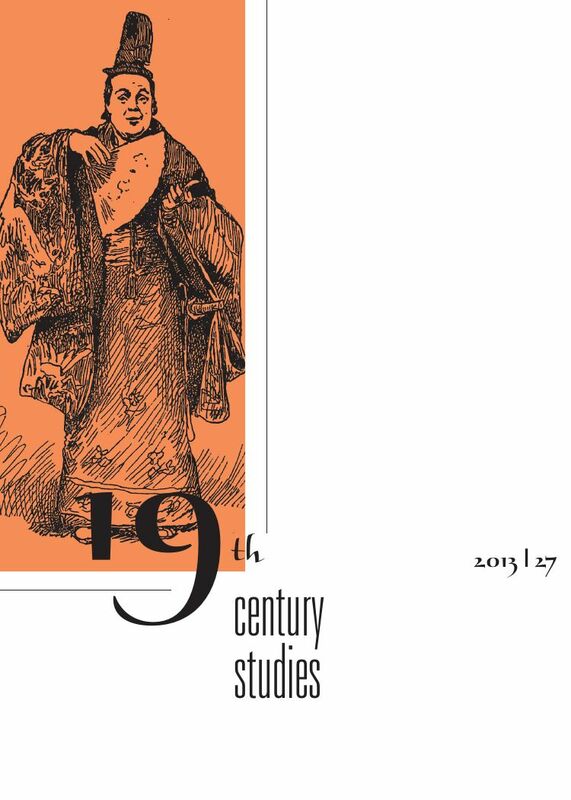 NCSA introduces new Nineteenth Century Studies journal Web site. Now Available: 19th Century Studies, Vol. 22. Feature Essays Nineteenth Century Studies publishes studies of interest to scholars of the nineteenth century in all fields. Topics include, but are not limited to, literature, art history, history, music, and the history of science and the social sciences. We welcome submissions that cross national boundaries and/or range across the nineteenth century. We also wish to encourage submissions of essays treating the material cultures and popular arts, entertainments, and literatures, and their significance in nineteenth-century societies. Studies focused intensively on a single text or work of art are quite appropriate if also affording broad interdisciplinary interest; however, studies of single works are not encouraged, if likely to appeal only to very specialized interests. Successful submissions to NCS are typically characterized by their authors having “done their homework.” With due allowance for the commonly recognized proportions of a journal article, authors should demonstrate in their arguments and documentation that they have thoroughly paid respect to fellow workers in a given field. Even then, authors whose articles are accepted should expect copious suggestions for revision and augmentation from readers and the editorial staff. From the initial stage of submission to final revisions of accepted essays, authors should always bear in mind that the audience of NCS is truly interdisciplinary. Readers are professional scholars, committed to study of the nineteenth century in all its aspects, but not necessarily sharing training in the field of a given contributor. We look therefore for essays that make original contributions to their respective fields, while managing also to make that scholarship available to a broader audience. Both aims may be achieved only after a substantial review and editing process, but the potential should be present in a submission from the start. Review Essays Nineteenth Century Studies reviews recent publications and events of interest to scholars in all fields of nineteenth-century scholarship. In the printed journal, publications are treated, not individually, but as part of review essays, which take the form of book review essays, art exhibitions reviews, and electronic resources reviews. Typically, essay reviews are solicited by the editors, although interested scholars are welcome to submit a prospectus for proposed reviews along with a brief résumé of relevant qualifications for undertaking the project. Length The expected length of feature essays ranges between 6,000 and 10,000 words, including notes. Longer essays may be acceptable, although very long submissions will be scrutinized for excess baggage. Review essays typically discuss at least three texts, usually several more. They should therefore be no shorter than about 2,500 words and can run longer, depending on the number of publications discussed. Unusually long review contributions should be cleared with the editor. Reviews published online typically deal with a single text and average 500–1000 words. The documentation system used by NCS is what the Chicago Manual calls “the notes and bibliography” (17th ed., sec. 14.19, p. 751) – as opposed to an “author-date system” or something like that recommended by the MLA Handbook. In NCS, all documentation is provided in notes, and works-cited lists are nowhere printed, nor do we print bibliographies unless called for by an article specifically intended as a review of research. Brian Taves suggests some interesting conclusions regarding the philosophy and politics of the adventure film (153–54, 171). Taves, Brian. The Romance of Adventure. Jackson: UP of Mississippi, 1993. 1. See Brian Taves, The Romance of Adventure (Jackson: University Press of Mississippi, 1993), 153–54, 171. Michel Foucault, for example, describes the discourse of confession as an “internal ruse,” an “immense labor to which the West has submitted generations in order to produce . . . men’s subjection” (1978, 60). Foucault, Michel. 1978. The History of Sexuality. Trans. Robert Hurley. New York: Pantheon. 2. Michel Foucault, The History of Sexuality, trans. Robert Hurley (New York: Pantheon, 1978), 60. 3. Charlotte Brontë, Villette (1853), ed. Mark Lilly (New York: Penguin, 1979), 40 (chap. 6). Page (and chapter) numbers for subsequent quotations will be given parenthetically in the text. Lucy insists that her “confession” is not a revelation of sin but simply the acknowledgement of her silent sufferings:“I said, I was perishing for a word of advice or an accent of comfort . . . . I had a pressure of affliction on my mind of which it would hardly any longer endure the weight” (p. 33 [chap. 5]). It should be noted, however, that such a citation strategy is reserved for situations where only one or two texts, and a very large number of citations of each, are involved. Given that scholars are increasingly forced to rely on interlibrary loan to obtain their research materials, NCS has adopted the policy of always providing inclusive page numbers, not just for journal articles, but also for essays in collections – for anything, in fact, that is a part of a larger whole (newspaper and magazine articles, forewords and afterwords, introductions and epilogues, etc.). If inclusive page numbers have not been provided in the version of the essay that is submitted for copyediting, they will be queried during the copyediting process. 4. Kate Lawson, “Reading Desire: Villette as Heretic Narrative,”English Studies in Canada 17 (March 1991): 53–71, 53. 5. Foucault, History of Sexuality, 69. While NCS style allows the use of ibid., it does not allow idem, op., cit., or loc. cit. Please note also that ibid. can only be used only to refer to a single work cited in the note immediately preceding. It should not be used if more than one work is given in the preceeding note. Ibid. takes the place of both the author’s name and the title of the work as well as as much of the succeeding material as is identical. It may, therefore, in many cases be used to repeat the complete preceeding citation. 6. Charles Dickens, David Copperfield (1849-1850), ed. Trevor Blount (Harmondsworth: Penguin, 1966), 49 (bk. 1, chap. 1). Alfred Lord Tennyson, In Memoriam A.H.H. (1850), in The Poems of Tennyson, ed. Christopher Ricks (London: Longmans, Green, 1969), 907 (sec. 51, lines 5–8). Thomas Carlyle, Past and Present (1843), with an introduction by Douglas Jerrold (London: Dent/Everyman’s, 1960), 230 (bk. 4, chap. 1.). Samuel Taylor Coleridge, Biographia Literaria; or, Biographical Sketches of My Literary Life and Opinions (1817), ed., with an introduction by, George Watson (1956; reprint, with additions and corrections, London: Dent, 1974), 16–17 (vol. 1, chap. 2). 10. Anonymous account from L'Ami de la religion 151 (March 1851): 14, quoted in Joseph C. Sloane, Paul Marc Joseph Chenavard: Artist of 1848 (Chapel Hill: University of North Carolina Press, 1962), 121. The findings of recent studies of the longevity of Internet citations are sobering. For example, a study of “more than 1000 articles published between 2000 and 2003 in the New England Journal of Medicine, The Journal of the American Medical Association, and Science” found that, “in articles 27 months old, 13% of Internet references were inactive” (Robert P. Dellaville, “Going, Going, Gone: Lost Internet References,” Science 302, no. 5646 [31 October 2003]: 787–88, 787 [Abstract]). The problem is, of course, that the scholarly community tends to treat Internet sources as if they are permenant, when, in fact, many are ephemeral. Without prejudicing Internet sources, NCS would like to ensure that the documentation offered in its pages is as useful as possible for as long as possible. To that end, we request that our authors observe the following guidelines. 6. On the significance of Jevons for economic thought, see Encyclopedia Britannica Online, s.v. “Jevons, William Stanley,” http://search.eb.com/eb/article-9043592 (accessed 5 January 2006). http://www.victorianweb.org/authors/craik/mitchell (accessed 7 January 2007). In cases in which a text (especially a primary text) is available both in print and electronically but the presentations do not merely replicate one another, we must make a judgment about what form of citation best serves the reader. That choice should above all be governed by quality of editing and presentation, and authors should be prepared to justify their choice of sources, whether print or electronic. A legitimate component of that justification may be convenience, which often draws authors to free online sources. The benefit of convenience can, however, be illusory, especially when a link comes up dead. ,Quality of editing being equal, sources can be cited solely in electronic or solely in print form, as long as chapter (or other subdivision) numbers are supplied, enabling the reader to find the passage in question easily enough in any form. If the source is not conveniently provided, then the citation of both electronic and print sources is helpful. NCS follows Chicago Manual style for the documentation provided in notes. Samples of the more common types of entries follow. Further guidance may be obtained by consulting secs. 14.68-317, pp. 693-784 of the 16th edition..
Jean M. Humez, “‘Ye Are My Epistles’: The Construction of Ann Lee Imagery in Early Shaker Sacred iterLature,” Journal of Feminist Studies in Religion 8, no. 1 (summer 1992): 83–103. Charles Hopkins, “The Shakers,” Regenerator 1 (8 February 1841): 116–17. Nathan Lane, “At Home with Irene Ryan,” Newsweek, 14 May 1973, 77–79. David Brion Davis, “The American Family and Boundaries in Historical Perspective,” in Dying or Developing? The American Family, 1660–1960, ed. David Reiss and Howard A. Hoffman (New York: Plenum, 1979), 1–20. Stephen J. Stein, The Shaker Experience in America (Oxford: Oxford University Press, 1992). Alfred Sisley, Selected Letters, ed. Franz Kline (New York: International, 1978). Michel Foucault, Madness and Civilization: A History of Insanity in the Age of Reason (1961), trans. Richard Howard (New York: Pantheon, 1965; reprint, London: Routledge, 2001). Benedict Anderson, Imagined Communities (1983; rev. ed., London: Verson, 1991). Ralph Waldo Emerson, The Journals of Ralph Waldo Emerson, ed. Edward Waldo Emerson and Waldo Emerson Forbes, 10 vols. (Boston: Houghton Mifflin, 1909-14). S.T. Coleridge, Biographia Literaria, ed. James Engell and W. Jackson Bate, vol. 7 of The Collected Works of Samuel Taylor Coleridge, ed. Kathleen Coburn (Princeton, N.J.: Princeton University Press, 1983). William Wordsworth to Joseph Cottle, London, 29 June 1799, in The Letters of William and Dorothy Wordsworth, ed. Ernest de Selincourt (Oxford: Oxford University Press, 1967), 42. 8.6. Conference Papers, Dissertations, Etc. James Clark, “The Orangery at Kew” (paper presented at the annual meeting of the Modern Language Association, New Orleans, 29 December 2001). Toby Jenkins, “Serialized Fiction in Household Words” (paper presented at the conference “New Directions in Victorian Fiction,” Georgetown University, 17 February 1996). James Worthington, “The Last Years of the Oxford Movement” (Ph.D. diss., University of California, Berkeley, Department of English, 1988). 9.1 Supplying Dates of People, Works, Events, Etc. Because NCS is a period journal and interdisciplinary – publishing in areas such as art history in which dates are crucial for identifying works under discussion – we routinely identify life dates of nineteenth-century figures and dates of works and events. Context determines what dates are cited – of composition or publication, in the case of literary works; of composition, first performance, or publication, in the case of musical works; of design, erection, and/or destruction, in the case of buildings – so long as the choice is made clear and relevant. In essays concerned more than in passing with sources in languages other than English, NCS prefers to quote both in the original and in translation. We leave the order to the author's discretion, literary analysis perhaps awarding primacy to the original, with the translation following. Whichever order is followed, the basic forms follow. 14. “[E]t me voici condamné à vivre dépareillé, car je suis encore trop homme de lettres pour faire un moine et je suis cependant déjà trop moine pour rester parmi less gens de lettres” (J.-K. Huysmans, En route [Paris: Plon, 1961], 380 [chap. 9]). There remains only one visible proof of continuity, the portrait of “an inscrutable, wily face, its features lifeless and drawn, with cheekbones accentuated by a dash of rouge, thickly pomaded hair intertwined with pearls, and a taut, white-painted neck emerging from the goffers of a highly starched ruff” (AN, 3; “une tête mystérieuse et rusée aux traits morts et tirés, aux pommettes ponctuées d’une virgule de fard, aux cheveux gommés et enroulés de perles, au col tendu et peint, sortant des cannelures d'une rigide fraise” [Ar, 61]). only by a lamp with a large, very deep shade. (AN, 4). Des Esseintes’s biological affinities with his parents significantly undermined, the possibility of intellectual kinship is entirely rejected owing to a serious lack of communication . . . .
Daniel Grojnowski notes: “[Des Esseintes] applies himself to the transformation of his entire existence into a work of art. He fashions it as such, isolated from the world, autonomous, and posits it as a full-fledged reality: a devised reality, a written reality, which readjusts the declaration of faith of ‘The Experimental Novel’” (Le Sujet d’ “A rebours” [Villeneuve d’Ascq (Nord): Presses Universitaires du Septentrion, 1996], 96–97; “[Des Esseintes] s’applique . . . à faire de son existence tout entière une oeuvre d’art. Il l’élabore comme telle, coupée du monde extérieur, autonome, et il la pose comme un réel à part entière: réalité concertée, réalité écrite qui réajuste les professions de foi du Roman expérimental”). 98. Chenavard quoted in Sloane, Chenavard, 73–74 (“Panthéon vraiment fraternal qui s'ouvrirait devant les grands hommes de toutes les nations et de tous les temps” [Chenavard quoted in Alexis Bertrand, “Le Mouvement sociologique: Art et sociologie d’après les lettres inédites de Paul Chenavard,” Archives d’anthropologie criminelle, de medicine, et de psychologie normale et pathologique, 15 July 1911, 525–49, 533]). Please follow the order of bibliographic information in the sample below. Page-number counts include prefatory unnumbered or roman-numeral numbered material plus arabic-numbered main text. Count the number of black-and-white and/or color illustrations and other figures such as tables. Current book prices can be found on publishers' websites. Family Fictions and Family Facts: Harriet Martineau, Adolphe Quetelet, and the Population Question in England, 1798–1859. By Brian P. Cooper. New York: Routledge, 2007. Pp. viii + 294. 3 black-and-white illustrations and 7 tables. $130.00 (cloth). As an interdisciplinary journal, NCS encourages authors to enhance their contributions with pertinent artwork. The NCS staff will be happy to assist, but authors are ultimately responsible for obtaining reproductions and permissions to reproduce the artwork and other illustrations. Graphic works that were published in the nineteenth century can generally be considered as public domain and, therefore, require no special permission, except for a courtesy acknowledgement (if appropriate) of the collection that supplied the source to be photographed. Unique works of art owned by museums or individuals do require permission to reproduce. A copy of the permission must be supplied to NCS, so that we may adhere to any special requirements respecting reproduction and the form of acknowledgement. Slide transparencies are also acceptable, and can sometimes provide a better image than positives (especially if the positive is taken from the slide transparency in the first place), but their quality is less predictable. At present, NCS is not in a position to print full-color reproductions routinely. If a contributor believes his or her presentation depends crucially on color reproduction, the author should point out this requirement at the start of the review process, so that the staff may take the request under advisement. Please do not submit to NCS material that is already under review by another journal. While we sympathize with authors’ need to place their work quickly, our already overextended resources do not permit us to expend time with any except fully committed candidates. All submissions, whether conventional or electronic, must include a brief abstract of the essay in a cover letter. To facilitate blind review, the essay itself should contain no indication of the author’s identity. Identify author’s name and institutional affiliation only on separate title pages, which will be removed when sent to readers. When submitting hard copy by conventional mail, please send two copies of the essay, accompanied by a self-addressed envelope with return U.S. postage sufficient to cover at least our reply (no postage necessary for contributors living outside the United States). Email submissions should observe the same formatting procedures to preserve anonymity. Requirements for postage and multiple copies of course do not apply. At the start of the submission process, attachment files formatted in widely used word-processing programs, such as Word or WordPerfect, usually prove acceptable. Attachments formatted in Rich Text Format (RTF) are also acceptable. If the essay is accepted for publication, the editor will request an electronic file on computer disk or as an email attachment. If appropriate, further instructions about formatting will be given at that time. All contributors will receive acknowledgment of the receipt of their submissions, either by conventional or electronic mail. Submissions are first screened for appropriateness to the journal by the editor and then passed along for review by one or two readers. Readers are often drawn from the journal’s editorial board or the NCSA officers and board; however, since an interdisciplinary journal invites submissions from such a wide array of research interests, reviewers are just as often solicited from outside the immediate NCS and NCSA organization, which cannot represent every possible expertise. Review time typically takes one to five months, and can take longer if appropriate readers prove difficult to locate. Every effort is made to process submissions expeditiously, but also fairly and carefully. Address E-mail submissions to: dhanson@selu.edu. Before an accepted article is set in type, authors will be sent copyedited manuscript requiring response within a specified period of time. When you receive copyedited manuscript, please check carefully to make sure that the suggested editorial changes are acceptable and that none of the editing alters your intended meaning. Queries to the author are set as lettered notes at the bottoms of pages. Before returning the manuscript, please check especially carefully that all queries have been answered. Every effort must be made to resolve problems at this point of production, before the manuscript goes to proofs. Changes at the proof stage can be problematic and must therefore be held to a minimum. When answering queries and making corrections on copyedited manuscript, please use a colored pencil or pen. Lead-pencil or black-ink changes are easily overlooked. Minor changes can be made directly on the printout. Longer or more complicated changes should be provided on separate sheets. Authors may also respond to queries electronically supplying a numbered list matching the numbering on the queries. Manuscripts are edited using WordPerfect’s redlining and strikeout functions. You are provided with two printouts: one (the redline/strikeout version) renders visible the proposed editing; the other (the “clean” copy) is a straightforward rendering of the end result. Please make all corrections on the clean copy of your essay. We also strongly suggest that you keep a photocopy of your corrections for future reference. In the redline/strikeout version, material to be deleted is literally struck out, and material to be added appears against a shaded background. She resists his advances at first, but eventually admits she loves him, though her sense of virtue prevents her from acting on those feelings. Instead, she becomes insane. She resists his advances at first but eventually admits that she loves him. Her sense of virtue, however, prevents her from acting on those feelings, and, as a result, she goes insane. She resists his advances at first, but eventually admits that she loves him, though her him. Her sense of virtue, however, prevents her from acting on those feelings., Instead, she becomes and, as a result, she goes insane. The allotted time for checking copyedited manuscript may vary in individual cases, but in general please plan on returning the corrected “clean” copy of your manuscript within 3 weeks of receipt. If you anticipate being unable to respond in the time allotted, please contact us immediately. If your essay is illustrated and we have not yet received camera-ready artwork, please supply it when you return the manuscript (we will need it to prepare page proofs), along with caption copy and all requisite permissions. If you have not already done so, please also supply a brief bio, including affiliation (institution and department), rank (if desired), and recent publications or projects in progress. Please stay within 50-75 words. After you have returned copyedited manuscript, we enter all final corrections and revisions. We then pull the corrected text into a set of page templates for the printed journal. This is how your article will appear in print. From this formatted version of your article, we print laser-copy proofs, which we proof for any errors that may have occurred when entering your final corrections from copyedited manuscript. We then enter final corrections, if any, and print a fresh set of proofs for you to check and to give your final approval. There is usually very little time for you to check proofs. This certainly is not a time for major revisions, which were supposed to have been addressed at the stage of copyedited manuscript. Because our staff is working under intense pressure at this stage, major changes by an author can be disastrous: expensive, critically time-consuming, and prone to import new errors at a time when we are least able to proof carefully. You should therefore check proofs for typographical errors only. If you notice very minor points of fact, style, and grammar that need correction and that were overlooked at the copyediting stage, then these can be accommodated. Proof correction is not an inflexible process; however, every change at this stage carries a heightened risk of introducing new errors and must be held to a minimum. Please follow the instructions in the checklist below. If you notice any formatting problems, such as orphan/widow lines, improperly spaced lines (i.e., too much space between words), or improper word division, we welcome you to bring these to our attention. However, our usual practice is to address such problems during the final stage of page makeup, after you have returned your proofs, and we have entered the very final corrections. Proof carefully for typographical errors. Since we have never rekeyboarded your essay, but have edited your essay using the computer file that you supplied to us, the only typographical errors you should find at this point are any that may have been introduced when entering your final revisions and corrections from copyedited manuscript. Of course, it is always possible that we overlooked errors at the copyediting stage that also remain to be corrected. Answer all queries, if any. Please make all corrections on this set of proofs. We also strongly suggest that you keep a photocopy of your corrections for future reference. Please use colored pen or pencil; lead-pencil changes are easy to miss. Send a brief bio for the contributor's page (if one has not already been provided). You will be notified by email and/or in writing when you receive your proofs of the latest date by which you may return the proofs. As emphasized earlier, by this stage we are working on a very tight schedule. We are constrained by a schedule contracted with our printer. Delays cannot be accommodated. If you anticipate trouble meeting your deadline, please contact us immediately. If corrections are simple, you can email them to us. To avoid ambiguities, however, it is often best that the marked proofs be sent to us by post or courier service, mailed in time to reach us by the scheduled date. Please stay in contact! Let us know the best way for us to contact you during the time you are correcting proofs and the next few weeks after you return them. Website copyright 2006–2015, Nineteenth Century Studies.